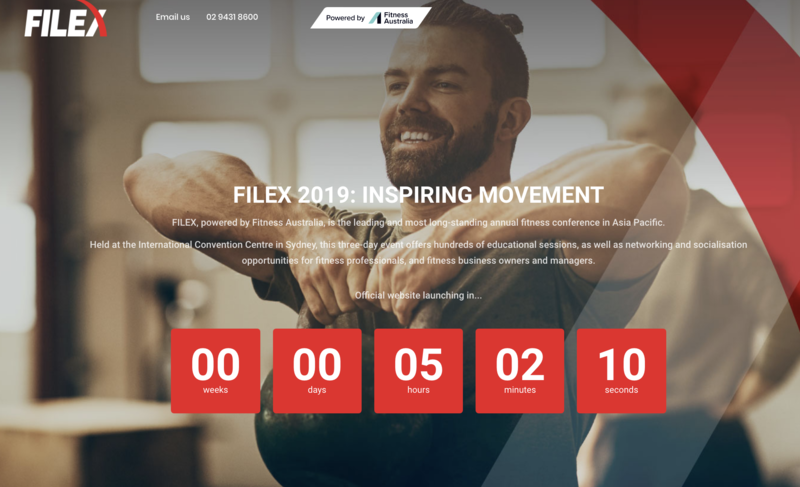 FILEX 2019 – Australasia’s leading fitness convention is ready to launch. If you work in fitness, and INSPIRE MOVEMENT then FILEX Convention is THE annual event to attend. The three day event is back in Sydney at the ICC in Darling Harbour from Friday 12th April through Sunday 14th. Co-located with The Fitness Show,FILEX will again be the industry’s total education solution in 2019. Meet and network with new and old friends alike from the fitness industry. With an upgrade to the ultimate GOLD PASS you will gain access to one of 2 leading pre-convention events on Thursday 11th. If business development is what you’re looking for then theFILEX Business Summit is the perfect addition to yourFILEX experience. Global thought leaders complimented with the best keynote speakers make this a must attend event. Alternatively if getting the latest in assessment and programming in all things Strength and Conditioning is what you’re after then you are in luck. All Gold Pass delegates also have an exclusive cocktail network function to mix with industry leaders, as well as a ticket to theFILEX Big Breakfast, included in your Gold Pass. This year we have an amazing keynote session on maximising social media for growth in 2019. New toFILEX, we are very excited to launch the The Conversation series. These practical sessions provide real opportunities to share best practice and learn from your fellow delegates, while being facilitated by Australia’s leading experts in the areas of Team Development, Sales and Retention. Walk away with a blue print on how to make real improvements to your business, no matter how big or small. For the first time atFILEX we also show case the Elevate series. This lecture features 12 dynamic business owners and fitness leaders sharing the one idea that made a real and significant difference in their world. Be prepared to take home tons of ideas to immediately implement into your fitness business and practice. FILEX is a strong supporter of the Industry Zone, a recent addition to The Fitness Show. If you are in the business of delivering fitness, on this level you will see all the latest tools, equipment and get to speak to the leading industry suppliers. We have dedicated time in our program to help facilitate this. So join your fellow fitness industry leaders from around Australia and New Zealand in Sydney next April for a long weekend that will give you the tools and knowledge to inspire more movement. Early bird tickets and registration are available for Filex 2019 from Thursday, 29th November 2018. For more information check out www.filex.com.au or call 02 9431 8600.